At Ménage we specialize in letterpress and engraved invitations. Whether it's creating the perfect wedding suite or picking out beautiful stationery, we've got you covered. In addition to our wide range of stationery, party and wedding invitations, we also have an array of gifts in store. We feature a few of our favorites in our online shop that are just waiting to be personalized. You never get a second chance to make a first impression. 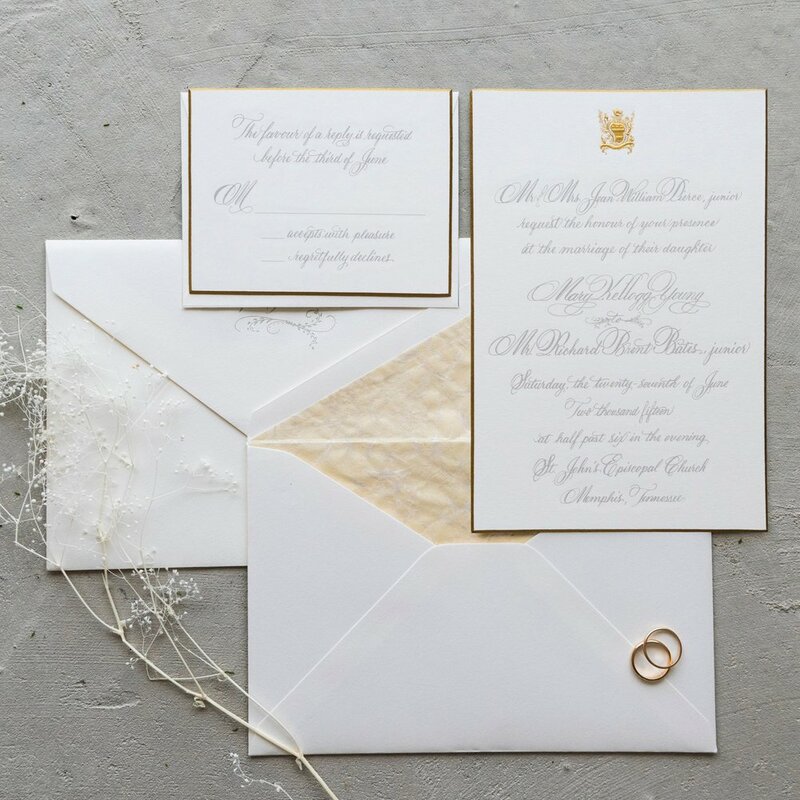 We have put together a few tips to help you set the right tone with your wedding paper goods! For more information or to make an appointment, be sure to get in touch with us! Until we get our online shop up and running, be sure to stop by our store at 430 Perkins Extended, Memphis, Tennessee to check out our wide selection of gifts. Click below to view a selection of items from our store that can be personalized for you or as a gift.